At the beginning of March we had Debbie and Michael Warner stay with us from Australia. Michael wanted to follow in his Grandfather’s footsteps who was here on the Western Front in February/March 1919 before sailing back to the UK and onward to Australia. Michael and Debbie visited each of the places his grandfather had been, documenting the journey in photographs just as he had done 100 years ago - a real then and now. Michael has promised some photos from his trip when he returns to Australia for a future newsletter so more on his extraordinary journey in a future edition. Friends Lucy, Martin, Sarah and Sean visited - all having a passion for the Western Front and all having family connections. It was lovely to have a young group here who share our passion and we swapped stories and debated over the dinner table. 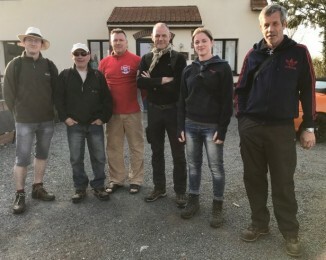 The 4 friends met as part of the British Legion’s GP90 tours last year as they had acted as volunteers and guides on that trip. 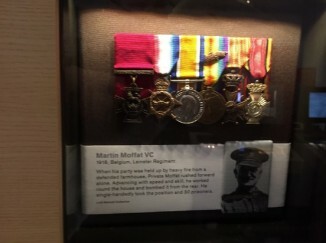 While all have stories to tell, Martin Garnett made us aware of his Great Uncle Martin Moffatt VC– who he is named after, and we were pleased to help with some further research into Private Moffatt’s war service through fellow guide Paul Oldfield who is writing a series of books about VCs of the First World War. Private Martin Moffatt was awarded the VC in 1918. He served with The Prince of Wales’s Leinster Regiment (Royal Canadians). He was born in Sligo, Ireland on 15 May 1884, one of 11 children. He was awarded his VC near Ledeghem, Belgium on 14th October 1918. Private Moffatt and five other soldiers in his section came under heavy close-range fire from a heavily defended house. Moffatt charged the house alone, tossed grenades in through the front and raced to the rear where he kicked in the door and stormed inside. He killed two of the enemy who came at him and took another 30 prisoner. His action allowed the advance to resume in that area. Shortly afterwards he marched 120 prisoners to be handed over. His VC was presented by the King outside Buckingham Palace on 12th June 1919. He followed Admiral of the Fleet Sir David Beatty and Field Marshal Sir Douglas Haig, both of whom were receiving the Order of Merit, on to the dais. Moffat admitted that in such distinguished company he was "all of a fluster". Post war Moffatt VC was employed as a Sligo harbour constable. He married Annie McNiff in October 1921 and had 6 children. He died 5th January 1946 and is buried in Sligo Cemetery. His medals are in the Ashcroft collection and Martin has seen them. Sligo museum hold replicas. Lasting friendships are often made here at No.fifty6. Alan Laishley from Portsmouth has been a long-term visitor to the Western Front and is a frequent visitor to us here at No.fifty6. 2 years ago, he met Karsten Lund from Denmark here, and the 2 of them hit it off with their shared passion for the history here. We have written about Karsten’s original pilgrimage before as he followed in the footsteps of his 2 great grandfathers who fought here with the German Army. This time, Karsten brought his niece Ditte and long-term friend Tommy to experience the Somme. 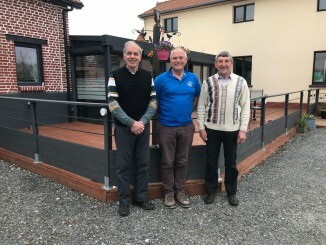 Last year here at No.fifty6 Karsten met Paul and Thomas James from Stony Stratford and they too came over for the weekend from the UK, with the intention for all 6 of them walking the 1stJuly 1916 front-line. Under blue skies and warm weather they did. A few nasty blisters, sore feet, a little sunburn and many poignant moments along the way. Bonds of friendship strengthened and respects paid to the fallen of all sides. It was quite a weekend. Tak for at komme og dele en vidunderlig weekend. 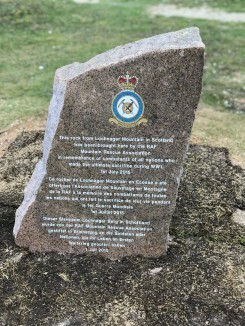 Four years ago we reported that The RAF Mountain Rescue Association brought a piece of granite from Lochnagar Mountain on the Balmoral estate to install as a memorial at Lochnagar Crater. After 4 years, a natural fissure in the rock exposed to the weather here had taken its toll on the original piece, so last week the boys were back... Has, Quackers and Alistair returned with a new piece (300 CWT) of the mountain - with permission from the Balmoral Estate and Richard Dunning. They removed the old stone and replaced it with the new piece. All the way from Balmoral via Shrewsbury, Hull, Zeebrugge and now at its Lochnagar namesake. No mean feat. But then, these extraordinary gentlemen have risked life and limb many a time rescuing people in distress on mountains in all weathers. The old stone will be refurbished and displayed at The Lochnagar Mountain Visitors Centre. The new stone in place looks magnificent. Thank you gentlemen. We had a few days off in March so we took advantage by visiting a few places we have been meaning to revisit for a while – all of them are recommended as places to visit. 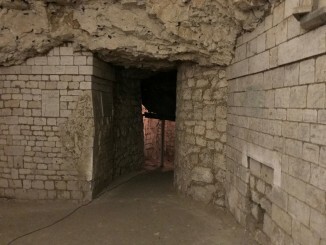 About a 40 minute drive from us is the underground city of Naours. Here, under a sleepy French village lies a labyrinth of tunnels and chambers excavated into the chalk. Starting as a quarry in medieval times, it became a place of refuge for people to flee and live safe from invaders and raiders. At its height, it is believed 3000 people lived underground. After many centuries of use the tunnels fell into disrepair and were largely forgotten about. In 1887 they were rediscovered and were opened to the public. 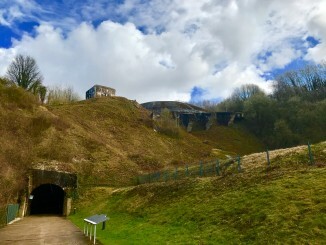 During the First World War the tunnels became a sightseeing attraction for soldiers stationed nearby. 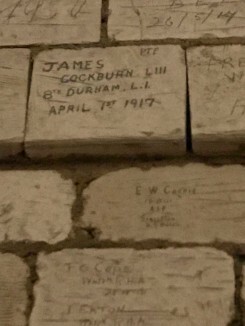 Those soldiers who visited – from across the Commonwealth visited and left their mark by signing their names with messages on some of the chalk walls near the entranceways to the tunnels, The tunnels are as much visited today for this graffiti as for the underground labyrinths. We were lucky enough to choose a quiet day to visit and were given a personal tour by the museum manager of the graffiti. The museum is currently undergoing a refurbishment and in November this year a new interpretative centre will be opened which will tell the stories of some of the soldiers who left their graffiti in Naours. The tunnels are not suitable for those with reduced mobility or claustrophobia. Just outside St Omer on the way to Calais, is La Coupole, once a V2 launching site, it is now a World War 2 Museum. Travelling through tunnels cut into the rock you enter into the launching site which is protected under a large reinforced concrete dome. This was once a place of forced labour and cutting edge weapon/rocket technology – the aim to bring terror on the people of Britain with a weapon which was devastating. The museum is excellent. With very moving films, exhibits and clear explanations it pulls no punches as to the horrors of War and also has sections on the advancement of rocket technology and the Space Race. We summed it up as former place of evil which now serves to reinforce the importance of peace and unity. There is also a Planetarium on site and with our interest in planets, stars and space we thought this was a very good addition to the museum. There is an excellent RAF in Northern France temporary exhibition in the tunnels until June 2019. In 2018 the Armistice Clearing Museum was renovated in time for the centenary of the Armistice and this was our first visit since. In the forest of Rethondes, near Compiegne (about an hour drive from us) you enter the Armistice clearing through a tree lined path from the car park. Here the railway carriages of the Allied and German officials who negotiated and signed the Armistice rolled in and history was made. The clearing is now a place of quiet reflection. 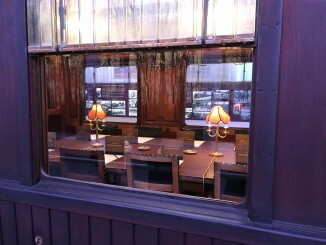 The museum building houses the sister carriage of the original Waggon Lits carriage with the interior set to show where the protagonists sat around the carriage table to agree the terms of The Armistice. The museum goes on to explain the history of how Hitler used the exact same place on 22 June 1940, when the French delegation signed the Armistice agreement imposed by Germany signaling France’s surrender in the Second World War. Following the signing, the Armistice Clearing was destroyed under Hitler’s orders. Taken away like the other monuments, the carriage would suffer a bitter end – being burnt in Germany. The clearing was reinstated in time for the Armistice anniversary in 1946 and there has been a museum there ever since. 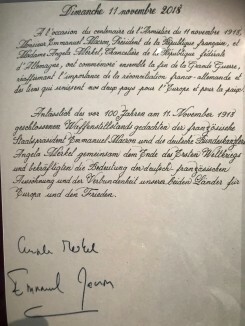 In November 2018 President Macron and Chancellor Merkel visited the site to mark the Centenary and signed the visitor’s book now on display. –The museum has excellent photos, stereoscopes and the timeline of the 2 World Wars is explained very well. Walking in Hitler’s footsteps definitely leaves a chill, though. 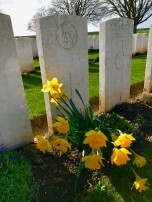 On 21st March the remains of 2 soldiers were reburied at Guillemont Road Cemetery. Their bodies were found near the village of Guillemont. Unfortunately, after extensive research by CWGC, it has not been possible to identify them. It is known that one of the casualties was serving with the Connaught Rangers when he died. His grave bears his regiment detail. The unknown casualty’s headstone commemorates him as a ‘Soldier of the Great War, Known unto God’. The service was attended by British Defence Staff, Regimental representatives, CWGC staff and local dignitaries. 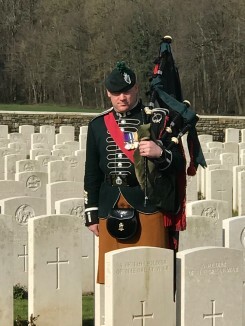 David attended with 2 of our guests who felt honoured to be able to witness this event that laid these soldiers finally to rest more than 100 years after their death. After the March storms we decided we should do some heavy pollarding of the trees in our garden, so all the trees at the back, side and front of our property have had a very severe haircut. Much better, neater and more light comes into the garden. However, the birds are important to us, so we have left habitats for the wild birds to nest and roost. It is nesting time and there is a lot of bird activity. We are also getting the garden ready for spring. 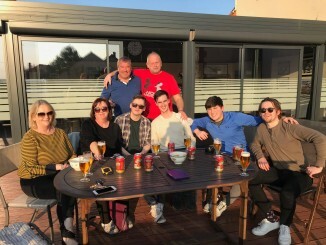 Guest Paul Nolan and his family from Widnes who visited last weekend, helped us get the terrace furniture out of winter storage. We love it when guests give a hand! The chickens have been getting treats from guests who compliment them on their lovely fresh eggs which end up poached, friend scrambled etc for breakfast. 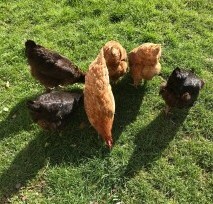 All 6 hens are much loved. Sausage the rabbit has a nightly carrot and cabbage leaf at bedtime and is a little sweetie. Griza the cat has endeared herself to guests. She now gets her own treats brought for her by guests and they even open and close the doors to let her in and out of the terrace like her own personal servants. We should have called her Brexit cat as she can’t decide whether she wants to be in or out. 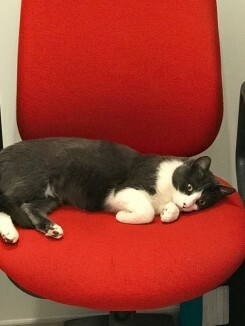 She sleeps in the office. She said to let you all know Dreamies in the UK are Catisfactions here in France. All is well at No.fifty6. Sorry to be tardy - not been well! Martin Moffat’s tale was a bit inspiring and, as usual, the rest makes a good read (look forward to visiting some of the places featured next time we come). Have a good April and don’t you go fretting about Brexit, y’hear? I haven't been to France for two decades, but hope to revisit the battlefields this year or next, when I've finished the book about my great uncle who was killed near Villers-Bretonneux in March 1918. Your newsletters are most enjoyable and keep me motivated. Can't wait to book a stay! We look forward to receiving your email letter, especially the ongoing events and your own exploring. Thanks for the effort. Another great read. Good to see that you can get away from no. 56 on occasions. Hope tyo see you sometime during the summer. Hi David and Julie. Very interesting newsletter as always. I (we) hope to come to stay sometime next season, and follow the footsteps of another recently discovered relative of mine who served in the 13th Battalion (3rd South Downs) Royal Sussex Regiment on both the Somme and Passchendaele battlefields, and survived both. Best wishes, Brian Janman. As usual, you provide a concise and enjoyable update for those of us who do not live in 'The Somme'. The articles cleverly retain that 'home from home' feeling which makes us all want to return. Very interesting to read about Naours - new to me. So, predictably, I am looking forward to seeing you both at some point this year although there is much focus for me in Normandy/Netherlands/Ardennes during 2019. Nice newsletter, as always. Looking forward to seeing you next month. David D says he's visiting Contalmaison before Easter and will pop in with spare copies of the new 'Lochnagar Crater Today', if that's OK. Rob.